Welcome To the Chamber, Red Robin Gourmet Burgers and Brews! 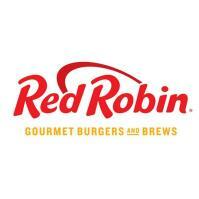 Welcome to the Garner Chamber Red Robin Gourmet Burgers and Brews! Known for their burgers and brews, but how about we get to know them better for what they really value, you! Our Culture- We take great care in choosing the people who take great care of you. From our servers to our chefs to our greeters, we’re all about making sure you have a good time, every time. Our Burgers- Our burgers are where it all began. Serving them fresh, fire-grilled and just how you like them. Loosely packed and full of flavor, Red Robin burgers don’t just make you full. They make you smile. Like they have since our first restaurant opened in 1969. Our goal? Burger greatness for every Guest. Gift of Time- When you dine with us, you’re welcome to stay with us. For as long as you’d like. No glares. No stares. No server rushing you out the door. We call it the “Gift of Time.” Please take all you want.